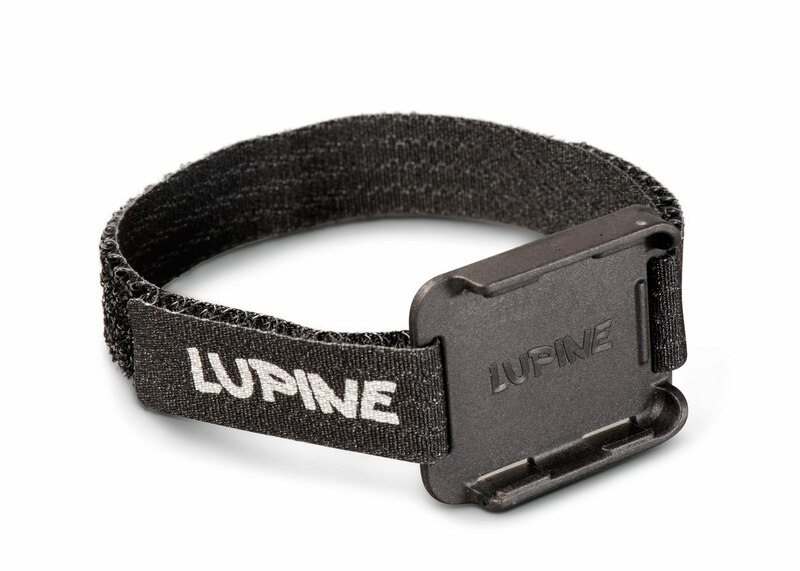 Lupine is the first worldwide to put the power and control of Bluetooth 4.0 technology directly on your wrist, or backpack strap.  The Bluetooth Armlet Mount allows you to easily, and securely mount a Bluetooth Control Button to a wrist strap, so that you have easy, hands-off control over your mounted helmet or handlebar light while nighttime mountain-biking, hiking, hunting, or fishing. 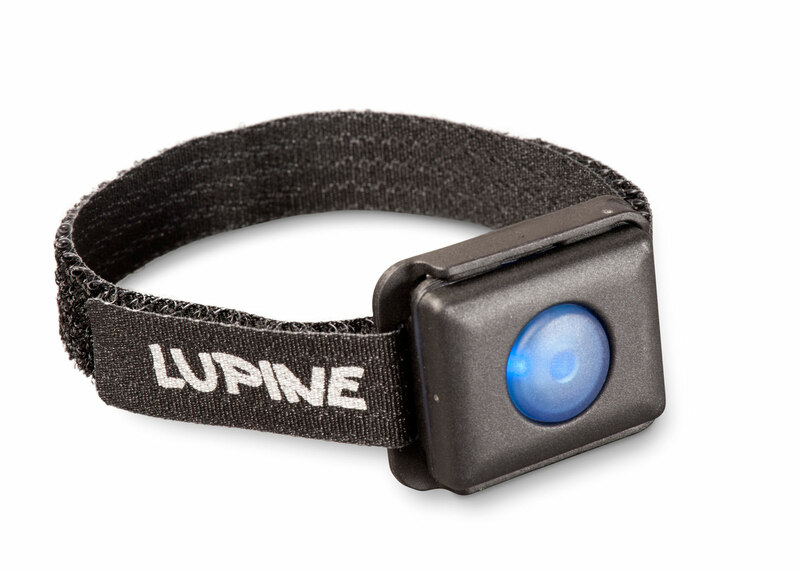 All Lupine R model lamps include integrated Bluetooth Technology. 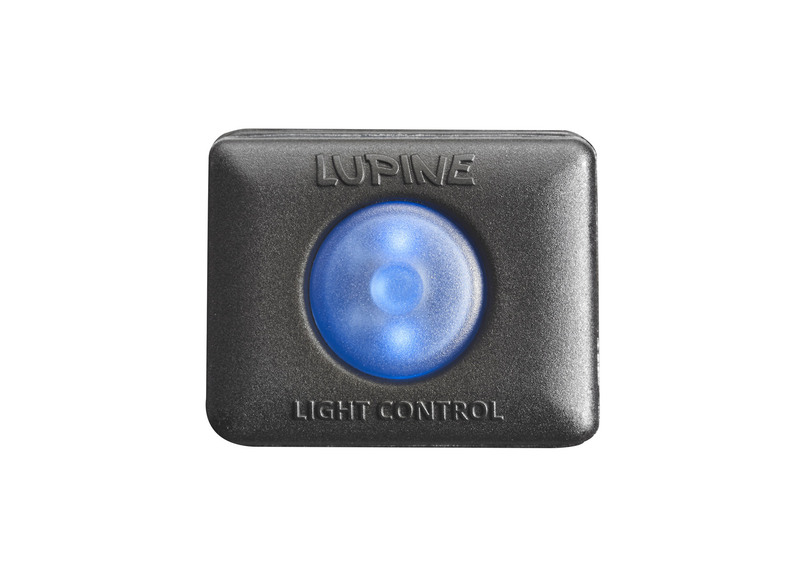 Lupine's R light models have an integrated Bluetooth Module that allows easy control of up to five pre-programmed light modes directly from your wrist - with lightning speed, without delay, without cable and without any security risk. 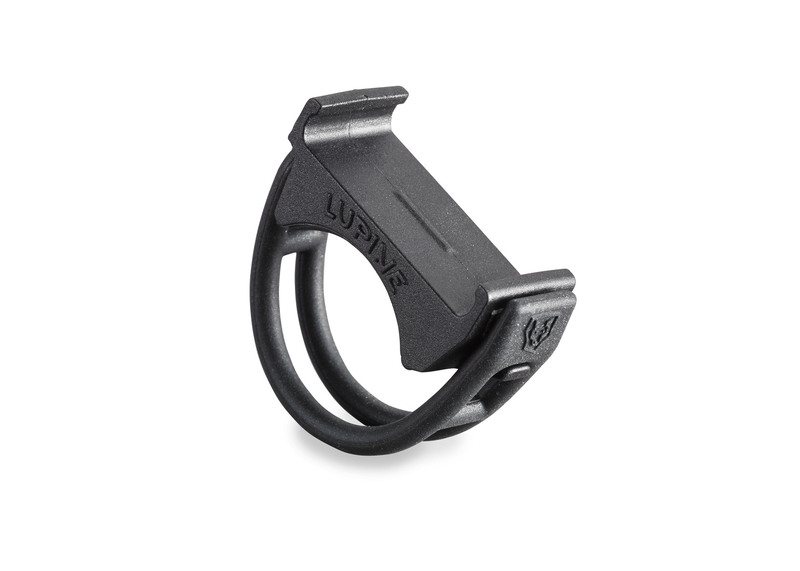 Tip for road cyclists: Secure your Bluetooth Armlet Mount, using the hook and loop fastener strap, directly on your road bike handlebars for easy control your lights while you rule the road (shown below). 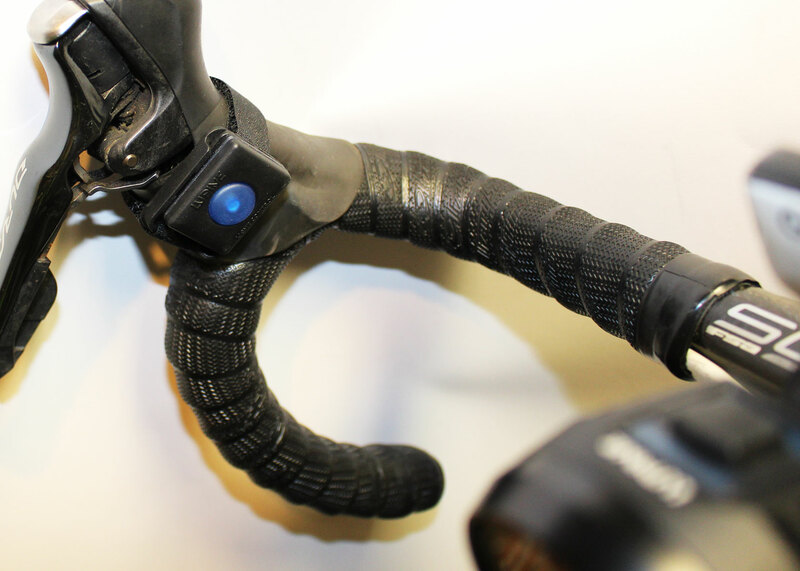 *Note: ?If you want to put the remote switch on a handlebar, we recommend using a Peppi V4 or V5 mount. 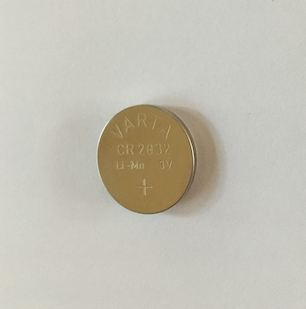 Suitable for mounting the Bluetooth Remote Button (included with all Lupine R model light systems).